I consider myself fairly knowledgable about most computer related things—that is my day job, after all—but this week I stumbled across an excellent feature of Apple’s iOS 8 that I didn’t know existed. You may be familiar with the practice of “in case of emergency,” wherein people enter emergency contacts in their cell phone address books under the name “ICE” that can be used to contact family in the event of an emergency. Having an ICE number identified in your contact book is great, but it also requires that your phone is charged and unlocked at the time of the emergency. Apple has standardized this practice into a new feature called Medical ID. Medical ID can store emergency contact information, but can also inform medical personnel of important health information such as your medical conditions, allergies, or desire to be an organ donor. Plus, and possibly the best part, you can enable Medical ID to be available even when your phone is locked. You need to be running iOS 8 in order to take advantage of Medical ID, so make sure your software is up to date before beginning. Launch the Health app and tap Medical ID in the lower right corner. The ID will be populated with information from the “Me” contact card in the Contacts app, but beyond that, it likely will be empty. Tap Edit in the upper right corner to begin adding medical information including medical conditions, allergies, medications, blood type, organ donor status, height, weight, and emergency contacts. Your emergency contacts can only be drawn from your Contacts app, so if your spouse, sibling, or parents aren’t already in there, you’ll need to make a card for them before you can add them to your Medical ID. There’s also a blank notes field which could be used for things like a preferred hospital or religious requests. On the setup screen, you’ll also see a little toggle button at the top of the page where you can choose to “Show When Locked,” meaning that emergency personnel can access your Medical ID from your phone’s lock screen even if you have a passcode set. 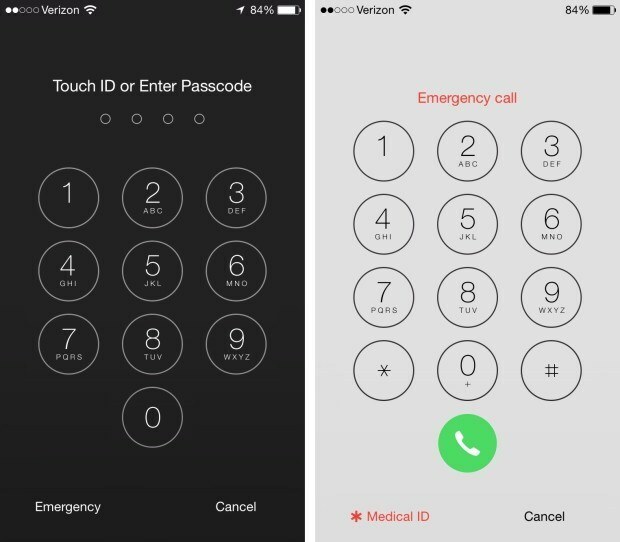 Instead of entering the code, they can simply swipe to unlock, choose Emergency, then Medical ID in the lower left corner. Keep in mind that others around you may have set up their Medical IDs as well; this could come in handy if you’re assisting someone in trouble. While this is an incredible feature that allows those who need it to get important information quickly in an emergency, it could also be used by unscrupulous people who want that information for less-than-honorable reasons. If you’ll be in a place where it’s likely that someone could easily pick up your phone and have access to information you’d rather they not have, you might want to temporarily toggle off the “Show When Locked” option. Great information, mine is set! Thank you Honey!